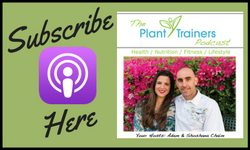 In this episode of The Plant Trainers Podcast, we talk with Jeff Chilton about the power of medicinal mushrooms. Well, we tell you, Jeff is a real fun-guy…all kidding aside, by the end of this podcast you will have a “shroom” of knowledge about this very medicinal type of plant. We hit the important stuff like what makes a reishi, cordyceps and Chaga mushroom so spectacular to how to make sure you are really getting your money’s worth and not duped by brand name supplement providers. Find out if mushrooms should be organic. What about that dirt that comes on it? How important is it to clean that off or is it a good source of vitamin B12? We’ll also answer the age-old question: Can you actually get Vitamin D from mushrooms. This is one trip…I mean episode you don’t want to miss. Share it with all your friends, plant-based, vegan or not because – holy shitake, this is interesting stuff. 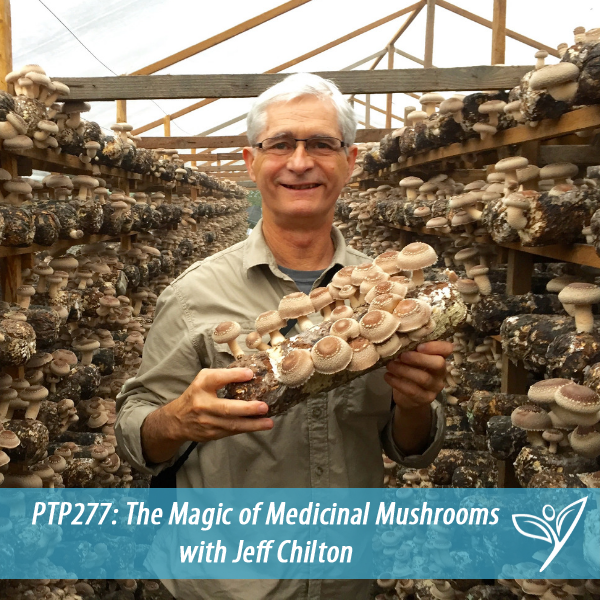 Jeff Chilton, raised in the Pacific Northwest, studied ethnomycology at the University of Washington in the late sixties and started working on a commercial mushroom farm in Washington in 1973. In the late seventies, he was a founder of Mycomedia, which held 4 mushroom conferences in the Pacific Northwest. These educational conferences brought together educators and experts in mushroom identification, ethnomycology, and mushroom cultivation. Jeff co-authored the highly acclaimed book, The Mushroom Cultivator, which was published in 1983. In the 1980’s he operated a mushroom spawn business and in 1989 he started Nammex, a business that introduced medicinal mushrooms to the US nutritional supplement industry. In 1997 he organized the first organic mushroom production seminar in China. Jeff’s company, Nammex was the first to offer a complete line of Certified Organic mushroom extracts to the US nutritional supplement industry. Nammex extracts are used by many supplement companies and are noted for their high quality based on scientific analysis of the active compounds. Work with us – grab a free call today! Visit www.foursigmatic.com/planttrainers and enter the promo code “planttrainers” for 10% off on your order!